Many companies are focusing on the 2012 trends and new developments in business, but some should be thinking more along the lines of a New Year’s resolution. In other words, the New Year is a great time to improve upon what your company is already doing (or should already be doing). Many of those old marketing tricks still work just as well, but companies have slowly been pushing them to the wayside. While methods like social media and QR Codes are great, my advice is this: Make improving your older marketing methods your New Year’s resolution. One of my favorite “classic” marketing tricks is the referral. Getting a referral is so important to a company because it has a very good chance of actually bringing in a profit. This is the case for because a referral means that your company is being talked about on a level of trust. The person getting the referral trusts the person giving the referral. This yields better results than if someone was just looking at a website. 1. 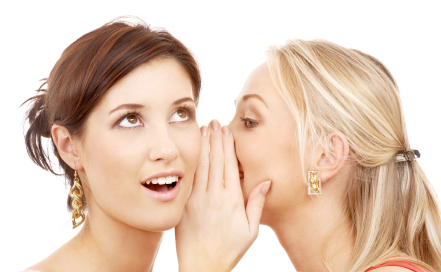 Co-Marketing – Part of a co-marketing strategy is giving referrals. For those who are unfamiliar, many companies create partnerships with other, complementary companies for marketing purposes. For example, if you work at a day care center you may want to have a partnership with a pediatrician. If you refer customers to his/her practice and they refer their patients to your business, you will have an entirely new audience very quickly. 2. Social Media – You don’t need to resort back to traditional phone systems if you’re hoping for a referral. Contrary to what some may believe, old marketing tactics can coincide with new age methods. If you love social media, be sure that you have sharing buttons for all of your readers. This makes it easy for customers and clients to send an online referral to all of their friends and family. 3. Compensation – Even though giving a referral is very easy, people will be more likely to do so if there is an incentive. If you can give someone five dollars off their next visit or a free consultation just for bringing in a friend, your referrals will skyrocket. This is probably the easiest way to bring in new customers and clients (while making your existing clients happy). 4. Simply Ask – It’s never a bad idea to remind existing customers and clients that referrals are appreciated. This can be as easy as reminding them when they leave—just put it into your “goodbye” spiel. If you have a good relationship with a specific customer, ask them directly if they know anyone who may be interested. You might be surprised how something so little can go such a long way. 5. Testimonials – Gathering testimonials is great because it allows those who want to help to do their part. Many customers will tell you they simply do not know anyone in the area or anyone who would need your products or services. The solution to this is to ask for a testimonial for your website or brochure. Have them sign a document saying you can use their words on your website, and you’re good to go. This is an indirect way to give a referral, but a referral nonetheless. In the end, people will not blame your company for trying to step up its referral statistics. It’s an inexpensive and successful way to grow a brand. In other words, looking to the past may benefit your company more than looking to the future in 2012. Amanda DiSilvestro is a writer on topics ranging from social media to telemarketing. She writes for an online resource that gives advice on topics including customer referrals to small businesses and entrepreneurs for Resource Nation. This entry was posted in Branding, Communication and tagged branding, communication, networking, referral on December 14, 2011 by Amanda DiSilvestro.